MAXPRO Pen Camera - Its Not Just a Pen but a Full HD 1920*1080P Video Camera - Audio Recorder & Full HD 2560*1920 Photo Camera. The device can record video for 1 Hour continously. This Pen has the Highest resolution on the market today. Dont waste your time with anything less. There is a free 8GB Sandisk SD 10 card, Ink cartridge & SD Card reader included. Its compatible with Windows, ME, LINUX, XP Operational systems. 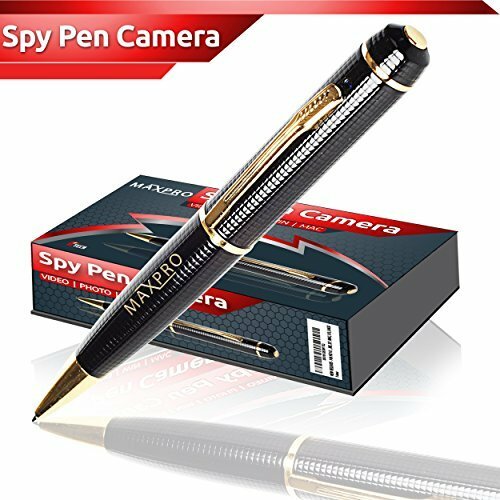 This Spy Pen Camera gives you Maximum innovation, Style & sophistication when it comes to this Spy Pen. This Pen integrates modern technologies with traditional stationary, operated easily and conveniently. Its smart , compact, practical and looks sleek & attractive. It's a great tool for recording Meeting, lectures, commerce, Media, Tourism, Medical appointments and of course security and protection. Very handy device. 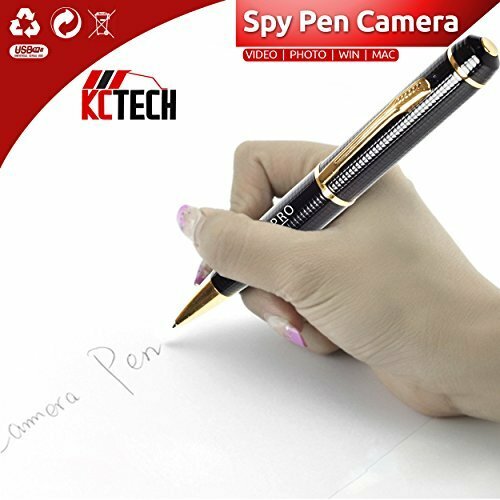 Spy Pen Camera gives you Functionality at its best. First thing to do when you receive the device is to fully charge it. As the device is charging you can follow the prompts to synchronize the device to your computer and then set the time date application. 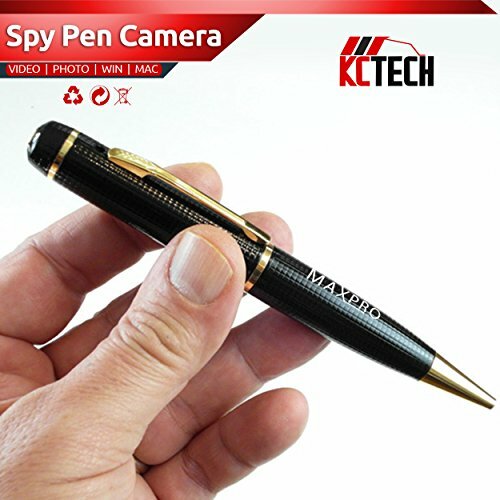 Spy Pen Camera POWER ON, Turn the mode switch to the left. Press and hold the button for 3 seconds, an orange light will turn on followed by a blue light that will flash 2 times and then device will start recording. Press the Button for 3 seconds and the orange light will flash on and the device will stop recording. The file will automatically be saved. When the device is recording all lights are off. This Spy Pen gives you 3 month satisfaction guarantee. We offer this massive guarantee because we know that this is the best quality that money can buy and our Quality Control is an area we put a great deal of time and effort into. We will always aim to please , so if you do have any problems with this device please contact us first through your Amazon account. So Please enjoy this product and PLEASE click on the ADD TO CART button now to place your order. Thank you. 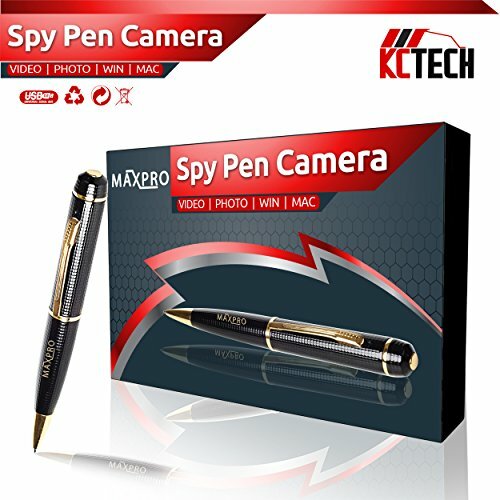 MAXPRO - Spy Pen Camera - Its Not Just a Pen but a Full HD 1920*1080P Video Camera - Audio Recorder & Full HD 2560*1920 Photo Camera. The device can record video for 1 Hour continously. This Pen has the Highest resolution on the market today. Dont waste your time with anything less. There is a free 8GB SD card included. 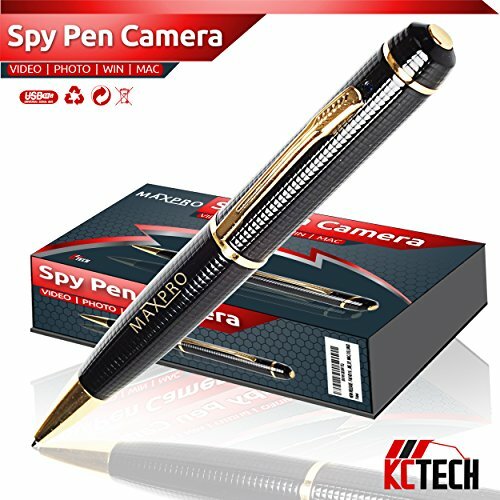 MAXPRO - Gives you Maximum innovation, Style & sophistication when it comes to this Spy Pen. This Pen integrates modern technologies with traditional stationary, operated easily and conveniently. Its smart , compact, practical and looks sleek & attractive. It's a great tool for recording Meeting, lectures, commerce, Media, Tourism, Medical appointments and of course security and protection. Very handy device MAXPRO - Gives you Functionality at its best. First thing to do when you receive the device is to fully charge it. As the device is charging you can follow the prompts to synchronize the device to your computer and then set the time date application. MAXPRO - POWER ON, Turn the mode switch to the left. Press and hold the button for 3 seconds, an orange light will turn on followed by a blue light that will flash 2 times and then device will start recording. Press the Button for 3 seconds and the orange light will flash on and the device will stop recording. The file will automatically be saved. When the device is recording all lights are off. MAXPRO - Spy Pen gives you 3 months satisfaction guarantee. We offer this massive guarantee because we know that this is the best quality that money can buy and our Quality Control is an area we put a great deal of time and effort into. We will always aim to please , so if you do have any problems with this device please contact us first through your Amazon account. So Please enjoy this product and PLEASE click on the ADD TO CART button now to place your order. Thank you.